A flash sale is now on for the Eve V, but only until 13:00 GMT tomorrow. The Eve V has been plagued with delays, but Eve Technology ensures that the Surface alternative is in stock and will ship in 2-4 working days. The Eve V captured headlines when it first launched on Indiegogo and scored 86% in our corresponding review. However, the Surface alternative then struggled with production delays and left many people for over a year without their device. Recently, things have got back on track though. Eve has signed a distribution contract with PCH International and now promises 2-day delivery. The company is currently running a flash sale on all versions of the Eve V, but you will not find it on its website. Fear not, as we have a link, which you can click through to here. 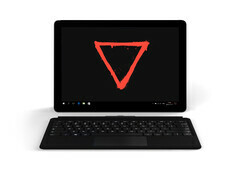 For the uninitiated the Eve V comes with a keyboard and pen, unlike the Surface Pro. The tablet has a 12.3-inch IGZO LCD display that operates at 2,880 x 1,920 with a 1:1500 contrast ratio, according to Eve Technology. All models come with a 7th generation Y series Core processor. The Core m3-7Y32 version is reduced from €899 to €699, while the Core i5 7Y54 model is down to €899 from €1,499. Finally, the Core i7 7Y75 version is now reduced by €400 to €1,199. Please keep in mind that the flash sale appears to be only available on the European website and only through this link. The flash sale will end at 13:00 GMT tomorrow.